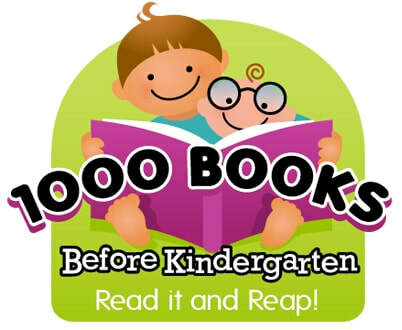 This is an ongoing program that encourages parents and caregivers to read 1000 books to children between the ages of birth and kindergarten. Stop by the library to register your child and receive a free book bag and the materials you need to get started on this amazing journey. This program was started through the generous support of the Children's Literacy Foundation. Congratulations to Elaina, Carson, and Briella for completing the task! We're so proud of them! Every Monday and Wednesday at 10:30 am, young children can join us for story time! We'll be learning the alphabet, so every week is a new letter! We'll read books, sing songs, and make new friends every week! We are really excited to announce that we will have a Baby Story Time! The program will be held on Friday mornings from 10:30 to 11:30. Baby Story Time is FUN! At the end of each weekly program, there will be playtime when parents and caregivers share books, puzzles, or other early literacy activities with their babies and toddlers. Every Wednesday after school, elementary school students can join us for a program! We'll start at 3:15, and the bus will drop the children off at the library. Parents should call the school to let them know their child will be attending the program. Join us during spring break from school for drop-in activities! All are welcome to stop by any time for games, crafts, and fun! Friday, April 26th: Show your artistic talents from 12-4 pm! Do you homeschool your child? Do you want to get involved in a local homeschool group? Join the Ingalls Homeschool Group! This group is for all children, and will be meeting once per month. The Ingalls Homeschool Group will meet to learn about exciting topics, be creative, and explore the area! All homeschooled students are invited to make environmental art with Camp Wildwood at Ingalls Memorial Library! Learn about the environment and explore using outdoor materials to create your own masterpiece! Kids of all ages are welcome to join in this collaborative and creative event on Friday, April 5th at 1 pm. All are welcome to join the Dungeons and Dragons gaming group! If you want to learn how to play, or love the game and want to play regularly, join our group! This group meets every Saturday at 9:00 am in the Teen Room. Call or email with any questions! Join the Teen Group at Ingalls Memorial Library for an exciting program throughout April! Plan, create, and celebrate spring by making a Peeps diorama! Using Peeps, crafting materials, and anything you can think of, create a scene from a book or movie out of different Peeps! This program will last for three weeks, so be ready to plan and create! Thursday, April 4th at 6:30 pm: design your Peeps scene- use books and movies to spark creativity and plan out your diorama! Thursday, April 11th at 6:30 pm: create your diorama! Bring in materials and whatever you think you'll need to make your scene. Thursday, April 18th at 6:30 pm: vote and celebrate! Bring family and friends to see your diorama and vote on the best one. All tweens and teens are invited to this exciting ongoing event!